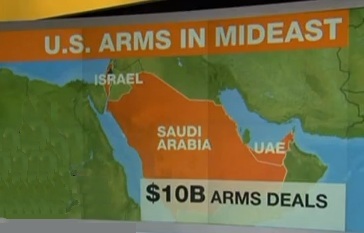 Chuck Hagel, US defense secretary, says arms deal with Israel, UAE and Saudi Arabia sends “clear signal” to Iran. A $10bn arms deal is under discussion between the United States and its Arab and Israeli allies that will send a “very clear signal” to Iran, Chuck Hagel, the US defense secretary, has said. “Iran presents a threat in its nuclear program and Israel will make the decisions that Israel must make to protect itself and defend itself,” he said.